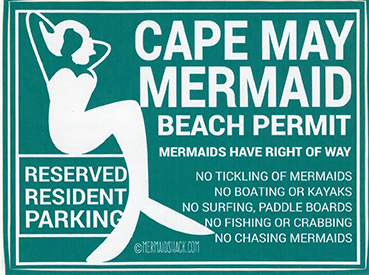 The Cape May Mermaid Beach Parking Permit measures 5″ wide by 3 3/4″ wide and are digitally printed. What a wonderful souvenir from a Cape May Vacation. These stickers look wonderful on a garden pot, a laptop or table case. Support you local Mermaid Beach and remember SHHH! Don't give away the secret location. 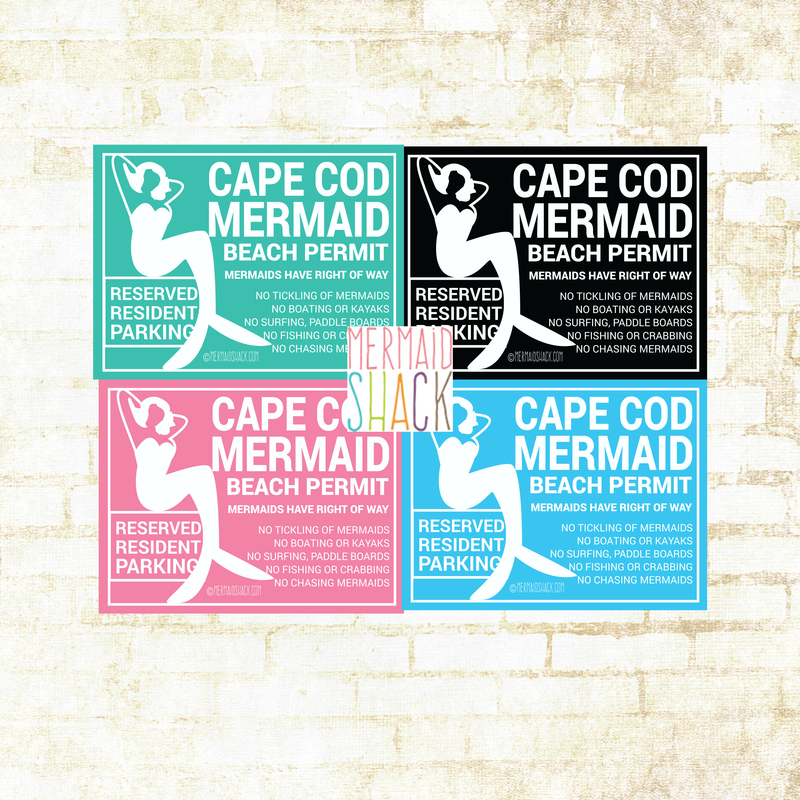 Cape May Mermaid Beach Sticker is perfect for a bumper, locker or laptop! 5″ W x 3. 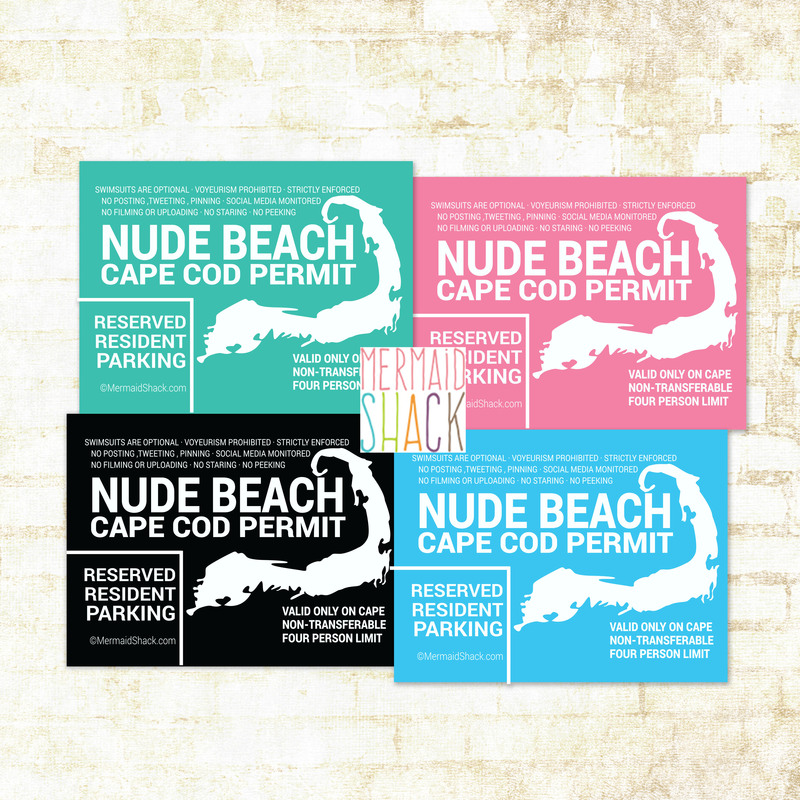 3/4″ H. Turn heads and with this Cape May Sticker. Available in Teal only. Special colors may be ordered by the dozen only. 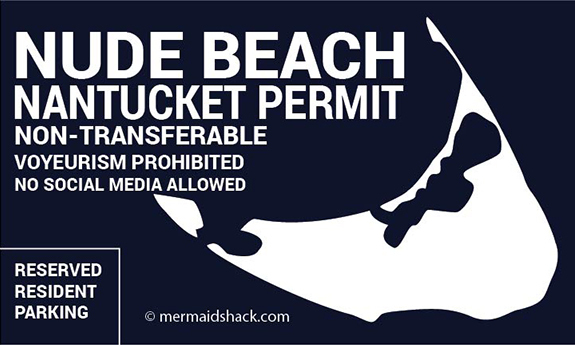 The Cape May Mermaid Beach Parking Permit measures 5″ wide by 3 3/4″ wide and are digitally printed. What a wonderful souvenir from a Cape May vacation. These stickers look wonderful on a garden pot, a laptop or table case. 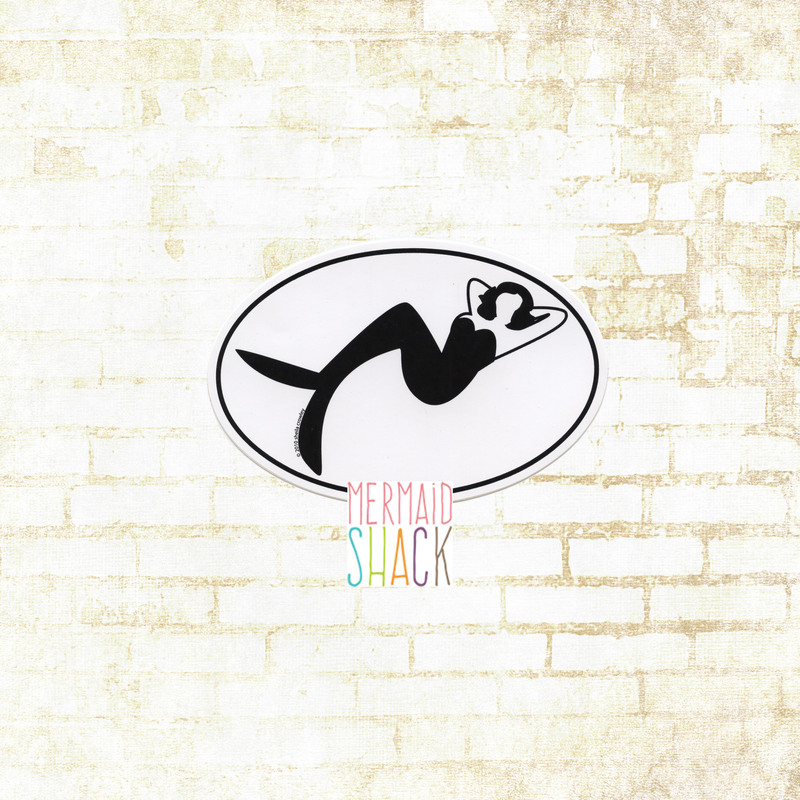 Support you local Mermaid Beach and remember SHHH! Don’t give away the secret location.